Dog's Window beer can now be found at Elephant & Bun on Cowbridge High Street. The delicatessen opened in the summer of 2012; as a family-run business. For regular visitors that go into the shop is a much a social call as well a chance to buy fine food and drink. they love talking to families about the weather, what's happening in Cowbridge but more than that we love talking about food, drink and what they are cooking and buying. They are passionate foodies and love looking at the latest trends in products, and also love experimenting in their kitchens. Equally important, they love to focus on Welsh produce, supporting artisan producers as they launch new ranges and grow their business. They feel pride at being at the heart of the Cowbridge High Street and are determined to contribute, through fine produce and service, to the success of this beautiful Vale of Glamorgan town. This is why we are so happy that they have chosen to stock Dog's Window beer. 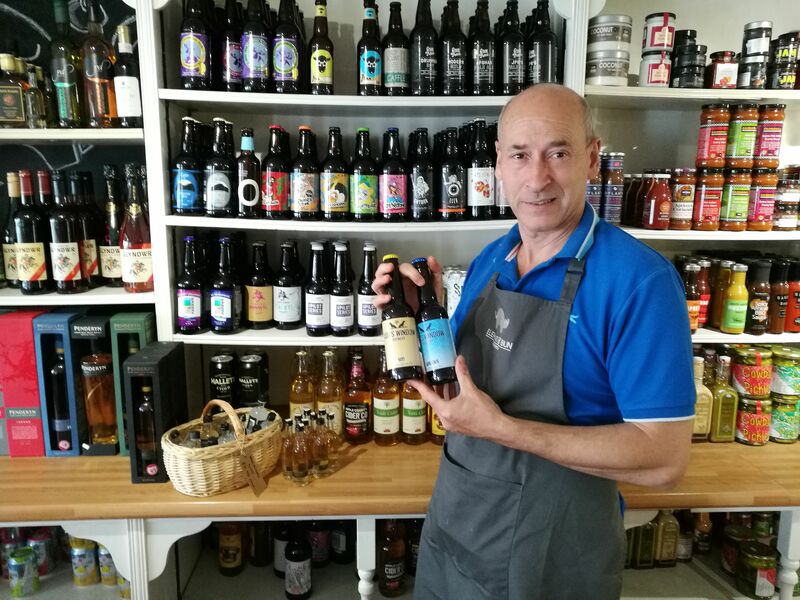 ⟵Another Bridgend retailer stocking our craft beer and real ale.